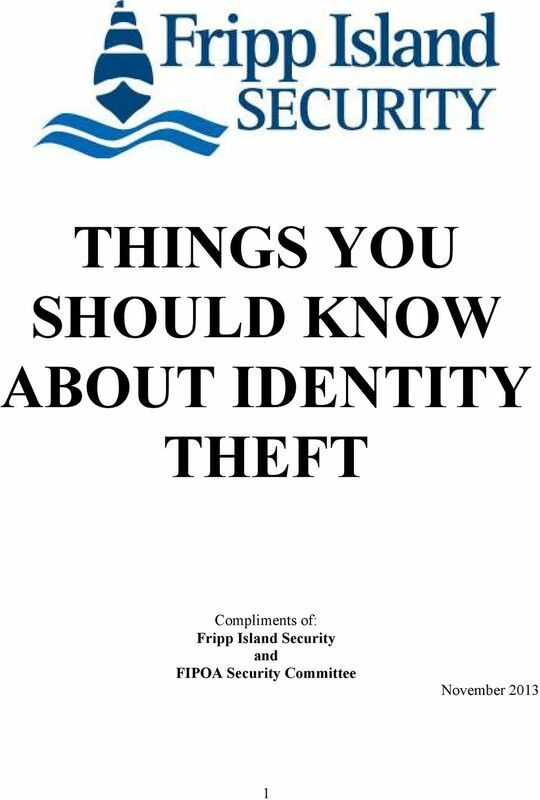 Download "THINGS YOU SHOULD KNOW ABOUT IDENTITY THEFT"
What is Identity Theft? Identity theft is a crime in which someone obtains key pieces of personal information, such as Social Security or driver's license numbers, in order to impersonate someone else. SECURITY FREEZE INFORMATION Any consumer in Wisconsin may place a security freeze on his or her credit report by requesting it in writing. SECURITY FREEZE INFORMATION Any consumer in North Dakota may place a security freeze on his or her credit report by requesting one in writing by certified or overnight mail to the credit reporting agency. Program Name Staff Responsible for Lesson MVCTC EL/Civics Program Mary Ann Oatney Date(s) Used 11/2007 Civics Category Civics Objective Time Frame to Complete Lesson EFL(s) II. Civics Participation II. SECURITY FREEZE INFORMATION Any consumer in Texas may request a security freeze in writing by certified mail to the credit reporting agency. 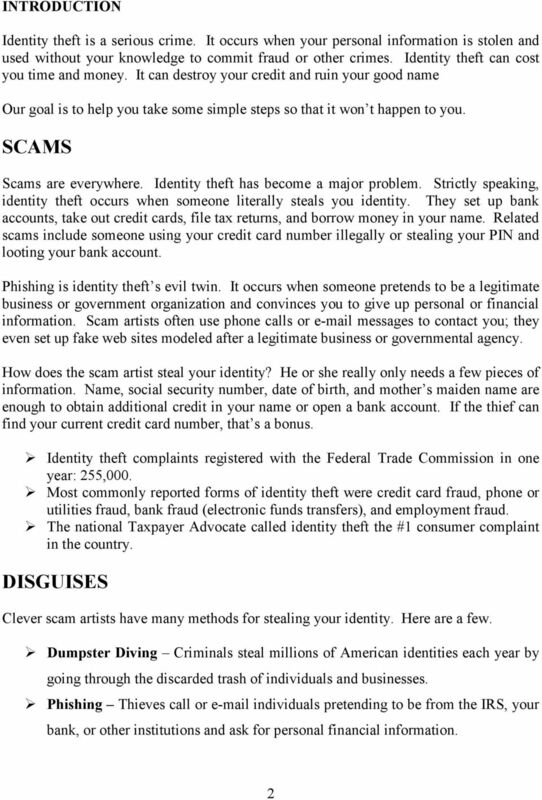 IDENTITY THEFT IDENTITY theft Identity theft can happen to anyone. Previously, criminals stole your wallet for your cash. Now they want your wallet to steal your good name. Protect yourself and your identity. When Fraud Comes Knocking Identity theft occurs when someone uses your name, Social Security number, credit card number, or other personal information without your permission. It is a very serious crime. Identity Theft is a serious crime! Client Resources SAFEGUARDING YOUR IDENTITY. Your personal and financial information is precious. Protect it by being savvy about identity theft. Protection. Identity. 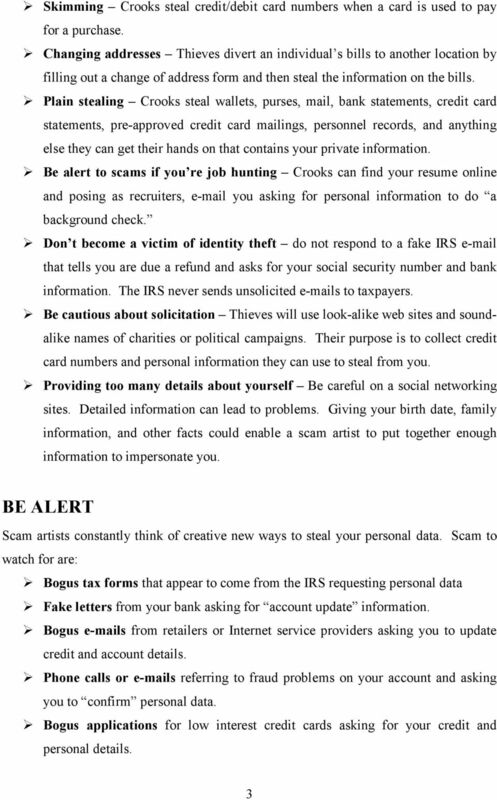 What should I do if I m. Common ID Theft TACTICS. a criminal obtains your personal information and uses it for his/her own gain. I know what is identity theft but how do I know if mine has been stolen? 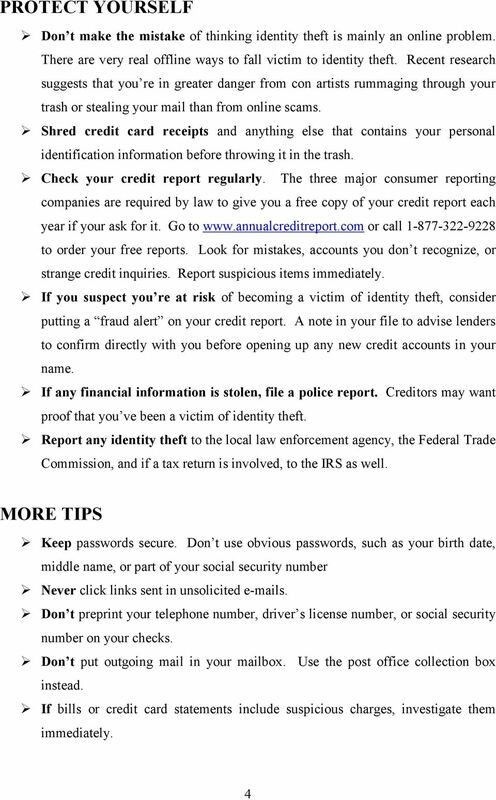 Dear Concerned Consumer, Identity theft is a growing problem of the Information Age. You have already taken the first important step in combating the problem by contacting HomeStar Bank & Financial Services. 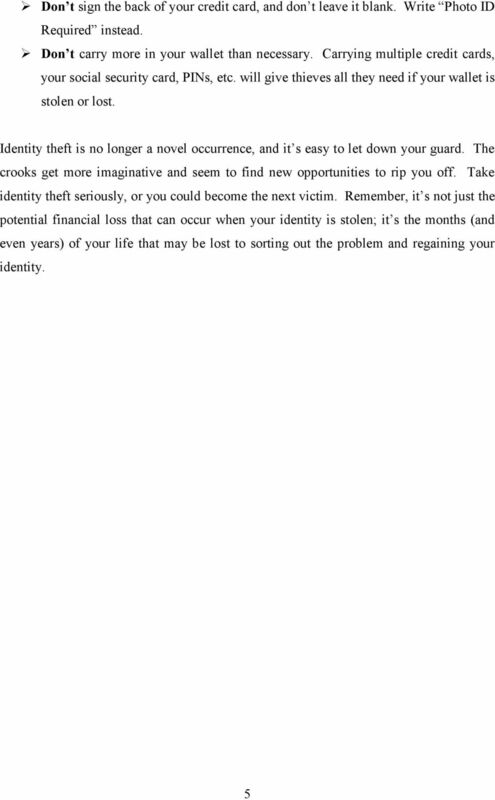 Identity Theft, Fraud & You. Prepare. Protect. Prevent. Identity Protection Guide. The more you know, the better you can protect yourself. WHAT S IT ALL ABOUT? Identity Theft. Occurs when someone uses your personal information without your permission for personal gain.